Wednesday, August 22, 2012, 3:15 – 04:00 PM NOSQL NOW! San Jose, CA Stephen Cole, Project Lead, Adobe Systems Steve’s presentation will cover the challenges and solutions Adobe faced when adopting Neo4j as their graph solution, moving it out of the data center and into the cloud, how Neo Technology worked with Adobe to overcome hurdles and evolve the product, and what putting a truly global cluster into production entailed. Steve has been working with online services for a dozen years, starting back when CGI and ASPs reined supreme. 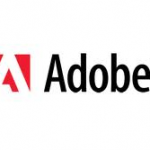 At Adobe Steve’s focus began with SaaS operations in the data center for projects like Photoshop.com, a private cloud compute and storage solution, and his eye is now on services in the public cloud. That leads us to where we are today, utilizing Neo4J to power features within Adobe’s recently launched cloud offerings.